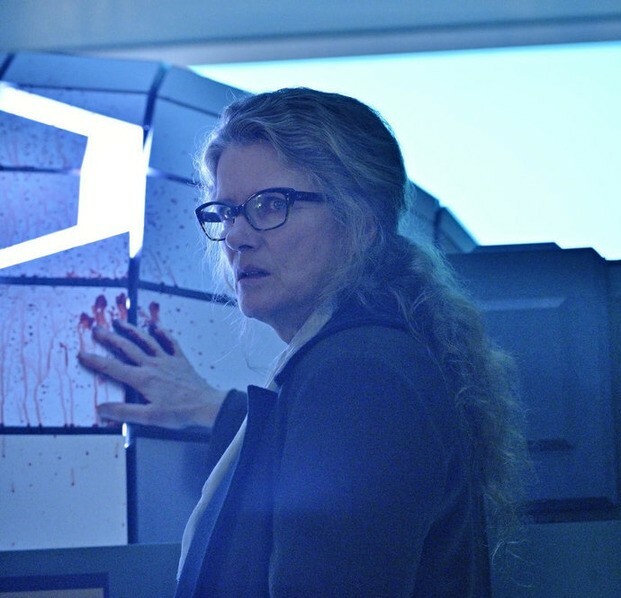 TV REVIEW: 12 Monkeys Characters Explore the Matter of Time in "Tomorrow"
This week’s episode of 12 Monkeys probably gave you serious time-jumping whiplash — which seems like a pretty difficult task considering how much back and forth the show does already. However, the ADHD approach logically and effectively wove together the episode’s events, offering us the series best stab at being more than just a time machine sci-fi show. A continuation of “Yesterday’s” themes, “Tomorrow” was a triumphant effort in non-linear storytelling. Flipping back and forth between 2017, 2041 and 2043, we see how Cole and Ramse ended up at the compound, the lengths Jones goes to in order to bring Cole back, where Cassie was in her final moments, and how faith — in the end — may be humanity’s biggest downfall. Cole and Ramse acting and interacting over wide gaps of time buffered only by date credits shined a blinding light on how much each character has grown. While at their ideological core neither one changes very much, their desires and loyalties do. With differing relationships to and experiences with time, by the end of “Tomorrow” they find themselves on opposite teams. Their new positions could be paralleled with that of Foster and Jones — one choosing to live in the future while the other lives in the past. Last week implied that the former was much more extremist of the two minds, and yet we see Jones going to beyond questionable lengths for her cause. Neither is entirely right or wrong. It’s all simply a matter of desire, loyalty and faith. Or, in essence, context. Every character is motivated by something or someone, but “Tomorrow” made painfully clear that almost none of the things our characters want exist in the same universe. For one to achieve their goal, the others must sacrifice. Whose desire, whose loyalty is greatest? And what sacrifice is worth making? 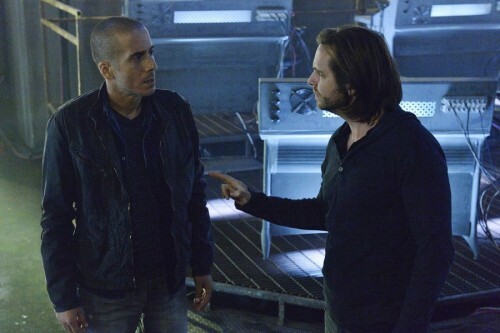 Unlike where the season started, there are no good or bad guys anymore on 12 Monkeys. We are left now with humans who blur the line between duty and desperation. Good and bad is defined by which cause viewers — and characters — deem most and least worthy of fighting for. How smoothly and clearly the episode moved through its three timelines is deserving of some serious praise. There was a lot of information and backstory thrown at viewers this week, and yet the writing still managed to usher us into the eye of each relationship and time arc hurricane, slowing just long enough for us to see fully the ramifications of the chaos. Though each story wasn’t allowed to play out for too long at a time, it was reasonably easy to follow and pick up. This was partially because each arc’s rising action complimented the others. It was like an orchestral crescendo build where you could hear each instrumental section both singularly and in tandem with the others. Using time as a device of developing plot action is one thing, but this week it literally turned into a character development wormhole. The episode offered viewers some of the series’ most emotional and perhaps pivotal moments. The brothers from different mothers aren’t just having a rough patch, but are literally fighting for versions of their lives in opposing universes. If one gets the girl and supposed happiness, the other doesn’t. While Jones and Foster both seemed to want the best for the world, neither could agree on what version of the world was best. As a result, one ended up dead at the hands of the other’s unyielding resolve. Even Whitley found himself at a juxtaposition with his father, with desire, loyalty and faith altering their relationship and timelines. Jones mission brought them back together, but it seems it was only for them to get torn apart again. For Cassie, the courageous choice of whether or not to live is starting to seem like no choice at all. In the end she always dies. Yet, she does not stray from the beaten path. Why? It could be because she (unlike Jones, apparently) actually wants to save the world. It could also be that her death is one key aspect of her getting to be with Cole. Or was one key aspect. After Cassie died in Cole’s arms, her watch unscratched. Early speculation suggests that Cole is now on the path to actually stopping the plague, or that he may have even created a new timeline for which to follow. Both are pretty sound and could definitely take the story in exciting directions. But if we remember, way back at the beginning of the series when Cole finds the watch on the body at the CDC — what is presumably Cassie’s body — there is no scratch. Could it be that Cole hasn’t changed anything at all, and instead simply set things back to the way they were? Could it be that nothing is actually changing so long as Cole is time-jumping? The show has already addressed the time as a continuous loop issue, so who is to say that it can be changed in any way that already hasn’t been attempted (both on and off screen)? It’s possible that 12 Monkeys is playing a chicken or the egg game with us, but we won’t know until it decides to share which came first: Cole or the plague. That brings us to Jones, who we see going a bit off the deep end this week. According to the new 2041 timeline, she had been expecting Cole to arrive. We see this in a scene where she first lets the two wandering brothers listen to the message left by Cassie. Oddly enough, that same message says that the person responsible for the plague is among them. Jones has been doing and saying some eye-brow raising things all season, and this episode just felt like icing on the seven layer cake. How could she have known to expect Cole? How could she have been so confident in Cole being the Cole mentioned in the message? Why would she so surely risk a potential cure without a second thought? Why is she so compelled by the possibilities of time-travel that she’d kill people over it? And why didn’t the writing stand to give viewers a clear answer on whether or not Foster’s cure was for the actual virus or a mutation? Finally, Jennifer Goines made an interesting appearance in Cole’s 2017 timeline, pointing out her new fav follower and saying that the coming world was being built not for the sons, but for the daughters. The army of the twelve monkeys was an army of women. So who were those creepy guys that wanted her way back when and what is their actual involvement? More importantly, who are the twelve women who help usher in the end of days and how close are they to Cole and the gang?